Kelly Ann Farrell, born 1964, has been an artist for all of her life. Kelly’s images portray the world around her: her world close to home, the world of her travels, and the world of her dreams. Kelly shares her vision through her drawings, paintings, and photographs which have been shown in solo and group exhibitions. 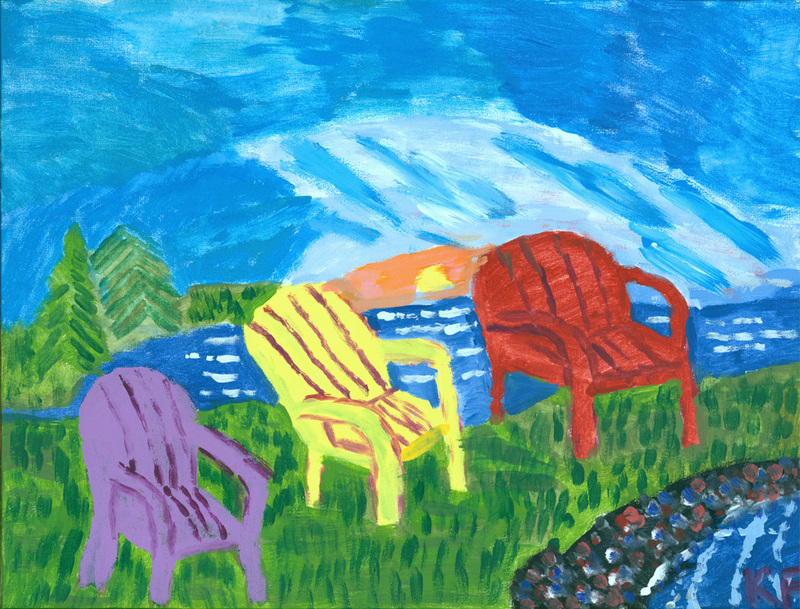 Kelly is a member of Hearts & Hands, a program within L’Arche Antigonish , Nova Scotia, where people discover their creative potential through visual arts, dance, music and drama. Hooray Kelly! You are one passionate artist and all of us who are privileged to work with you are blessed by the sunshine and warmth that your art pieces give. Love, love, love! 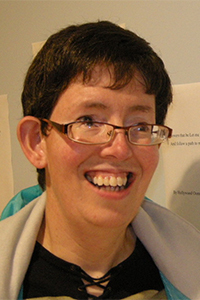 Congratulations on being a featured artist for L’Arche around the world. You have a gift to share and it has been shared! Congratulations Kelly. You have a real gift in your art. Thank you for sharing that gift with all of us! Two thumbs up and a big hooray for Kelly and her fine work. I’m very proud of you!